Effective 1 September, 2017, Dr. Shawn Bullock will be taking up an academic position at the University of Cambridge, U. K. Shawn is looking forward to this opportunity, and is grateful for the experiences he has had over the last five years at Simon Fraser University in British Columbia, Canada. Shawn will be largely unavailable over email for the month of August, 2017. The best way to reach me continues to be : shawn(at)shawnbullock(dot)ca. Do you think about the materiality you ascribe to objects in the world around you? For example, do you work with objects in the ways that they were designed, or do you feel that you can shape your use of objects in different ways that they were intended to be used? The materiality you attribute to objects implies that you have a philosophical assumption about the way the world works. Your philosophical position influences how you learn, how you teach, your conceptions of knowledge, and how you study the world around you. Four major philosophical assumptions about how people see the world (reality) can give us some insight into how people view the materiality of making. As you read the short oversimplified snippets below, think about where you situate yourself and where making may be positioned. Objectivist and realist views of the world are constituted by a reality that exists independently of human conception and understanding. The assumption is that reality exists through properties and relations between objects. For education, this means that learning is the recreation of correct behaviors expected in the world and the focal point is on the mastery of knowledge. Idealists and rationalists define reality as shaped by the mind. Kant would suggest that ideas are the only certainty. There is an emphasis on reasoning over sensing things when aiming to understand the world, and intellect and deduction are important criteria. For education, this means that changes in thinking, not changes in behavior, are the focal points of learning. Relativists disapprove of absolute reality and subscribes to the belief of socially and culturally constructed truths. For education, this means that learners’ opinions and experiences support the development of their reality and meaning is dependent on experiential contexts. Pragmatists discard dualist thought and reject notions of rationalism over empiricism or objectivity over subjectivity. Pragmatists operate in the middle ground and are interested in how philosophical orientations can support a situation of interest. Reality is viewed as dynamic and dependent, and knowledge has practical significance in the place and moment of use. For education, this means that knowledge serves as an action plan for the types of practical uses it aims to achieve. Ethical hacking: Deconstructing existing technology for the purpose of creating knowledge (e.g., taking an old computer apart to learn about hardware, and applying that knowledge to work with small hobby computer kids such as Raspberry Pi). Adapting: Using technology for purposes other than what it was originally intended for (e.g., using an old smartphone to learn elements of computer programming). Designing: Selecting and using technological artefacts and ideas to solve problems (e.g., using conductive tape, batteries, and LEDs to design decorative circuits that can be integrated into clothing). Creating: Archiving contextual knowledge obtained through engaging in the process of making (e.g., creating a wiki that documents how particular projects were accomplished) and, of course, enjoying the actual tangible products that come from making (e.g., playing a video game that was designed within a maker space) (p. 12). I would suggest that the philosophical perspectives of relativism and pragmatism are useful ways to think about the materiality of making. This suggests a belief in having a deep understanding of the objects in the world through knowing how they work so that you can change and shape them for future uses. What does this mean for education? From a teaching and learning perspective this translates to giving students agency, wherein their capacity to act on objects and technologies rests in the belief that the relationship between learning and the objects are malleable. In this way, the design of objects is not deterministic, but shaped by the environment, which offers potential for different uses of objects and diverse learning opportunities. Bullock, S. M. (2016). Digital technologies in teacher education: From mythologies to making. In C. Kosnik, S. White, C. Beck, B. Marshall, A. L. Goodwin, & J. Murray (Eds. ), Building bridges: Rethinking literacy teacher education in a digital era (pp. 3–16). Rotterdam, The Netherlands: Sense Publishers. We are pleased to announce to publication of ‘Making’ as a catalyst for reflective practice, published in the journal Reflective Practice. The results present data from teacher candidates who participated in a several maker experiences in our Maker Pedagogy Lab (MPL). Within the research and teaching program of maker pedagogy(TM), this study analyzes how teacher candidates construct knowledge about teaching and teaching with technology. The study applies an experiential-intuitive framework of reflective practice and takes cues from critical thinking to analyze the participants’ interactions in a maker pedagogy lab. Schön’s conception of reflection drove the data collection and analysis of participants who were asked to reflect on their experiences gained in the maker pedagogy lab. The researchers argue that the maker pedagogy lab provides participants with a way to understand their teaching practice. The results demonstrate that the maker projects enabled teacher candidates to engage in exploratory and hypothetical talk about how they are thinking about teaching and learning, particularly with technology. Furthermore, the researchers uncovered that teacher candidates’ prior knowledge and frames of reference affect their making experiences and their developing identities as science and technology teachers. A special note and thank you to Andrea J. Sator, a current doctoral student in SFU’s Educational Technology and Learning Design program, who led the development of this article. 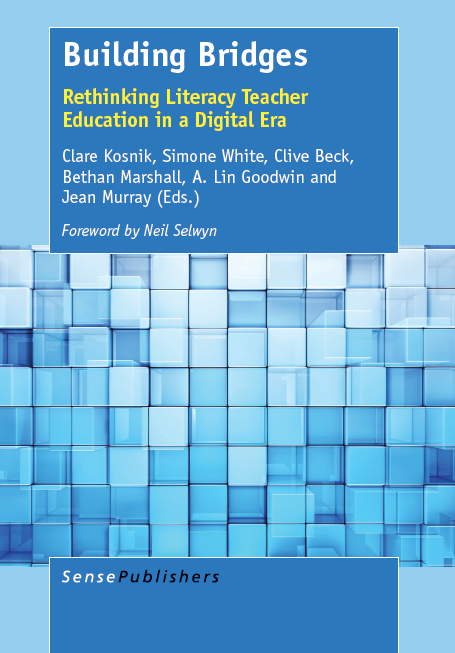 I am pleased to announce the publication of a new book edited by Clare Kosnik, Simone White, Clive Beck, Bethan Marshall, A. Lin Goodwin, and Jean Murray entitled Building bridges: Rethinking literacy teacher education in a digital era. This book emerged from presentations made at a working conference in London in 2014. I was honoured to be a part of both the conference and this book. 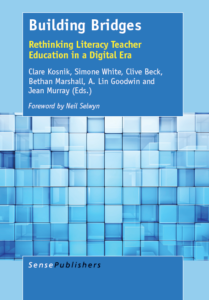 My own chapter provides a conceptual overview of some of the tensions and challenges of the concept of digital technologies in teacher education. It concludes with some ideas from my Maker Pedagogy project. Sense Publishers always provides a free preview of the first chapter of books that it publishes, and that means anyone can download my chapter for free by clicking here. We were pleased to present some early results regarding data from teacher candidates who participated in the Maker Pedagogy at CSSE 2016 in Calgary, AB. The study applies experiential-intuitive frameworks on reflective practice to analyze the participants’ interactions in a maker lab. Schön’s (1983, 1987) conception of reflection drove the data collection and analysis of participants who were asked to analyse their experiences gained in our maker lab. We argue that the maker lab provides participants with a way to understand their teaching practice by enabling teacher candidates to engage in exploratory and hypothetical talk about how they are thinking about teaching and learning, particularly with technology. Furthermore, we uncovered that teacher candidates’ prior knowledge and frames of reference affect their making experiences and their shifting identities as developing science and technology teachers. We were pleased to make our first public scholarly presentation about Maker Pedagogy at AERA 2016 in Washington, DC. Although the maker movement has become a part of the popular technological zeitgeist in recent years, it remains under-researched. A significant part of understanding pedagogies of making, in our view, will be to describe and interpret how our own pedagogies of teacher education are challenged by a focus on making things with future teachers. We see this paper as the beginning of an important conversation about not only the role of the maker movement in teacher education, but also the utility of self-study methodology to unpack its pedagogical features. We are pleased to announced the first publication from our research program, published in a special issue of the Journal of the Canadian Association for Curriculum Studies. The piece is conceptual and considers some of the opportunities and challenges to adopting what we have defined as maker pedagogy in science education. Making is a process that people engage in to design, create, and develop things that are of value and use to them personally or for their community. The recent popular (and sometimes commercial) Maker Movement is rooted in making and traces its lineage from a variety of historical precedents, including ancient traditions of arts and crafts fairs, tinkering and inventing using analog technologies, and hacking and programing with digital technologies. So-called “Maker Spaces” often function as co-ops that allow people to come together to build things, share expensive tools, and learn skills from one another. In this article, we will use the maker movement as a catalyst to reveal both some perennial challenges of and potential ways forward for curriculum studies of science and technology teacher education. In particular, we suggest that maker pedagogy, an approach to working with teacher candidates drawing from principles in the maker movement represents a potentially useful way forward in engaging teacher candidates in thinking about curriculum and working with students. Bullock, S. M., & Sator, A. J. (2015). Maker pedagogy and science teacher education. Journal of the Canadian Association for Curriculum Studies, 13(1), 61–87. What drives knowledge and learning? I was so fortunate to attend Vancouver’s Maker Faire on June 6, 2015 and what an inspiration it was! Walking into this well-organized event I was instantly enthused by the vibe. People were happy, conversation was abundant, and making connections came naturally. I certainly wasn’t a networking event! I witnessed in a short time the sharing of knowledge, gained quick access to information, and resources were plenty. Little energy was spent at the Maker Faire on selling, rather the showcase of innovation rose to the forefront and everyone was willing to share their knowledge, all you had to do was ask a question to spark the Maker ethos. This experience got me thinking about knowledge and how it is created, developed, and disseminated. Let me narrow this blog by talking about the development piece. Knowledge appears to fall into some readily identifiable categories such as 1. wanting knowledge, 2. needing knowledge, and 3. having knowledge. Testing myself on these categories and watching them play out at the Maker Fair, it appeared that my “need of knowledge” (due to a lack of knowing something specific) drove my “want to know,” and lucky for me, in this Maker Space, there was an abundance of those who “had the knowledge” I wanted. Does the “want for knowledge” appear to be the most significant factor? And what might this say for educators? The typical type of knowledge disseminated in the classroom comes in a declarative form, which is largely facts and the theoretical background. If learners are lucky, we can get some hands on experience with the declarative knowledge through procedural knowing via experiences and hands-on-activity. It could be suggested that the experience with something much drive the “need to know” and as such, is integral to learning. But what’s different about experiencing something through learning-by-doing as described above and experiencing something through Making? I think it’s the “want to know” piece. In traditional classrooms, the “need to know” experience is created by the educator, but may not be as authentic as the “want to know” I experienced in the Maker Space. Would you agree? Why is this important? I think it’s because the learner’s desire and want for knowledge creates an enthusiasm for deep learning. This then determines what they need to know subsequently allowing the learner to seek the knowledge from those (perhaps experts) who have it. We can deduce that the Maker Space supports the type of learning environment that educators might aspire to create for the acquisition of knowledge. People engage with the Maker Movement in many ways. Some read about it, some attend events, others watch it happen. Yet, gaining real access is simple once the premise of doing-it-yourself is implemented. 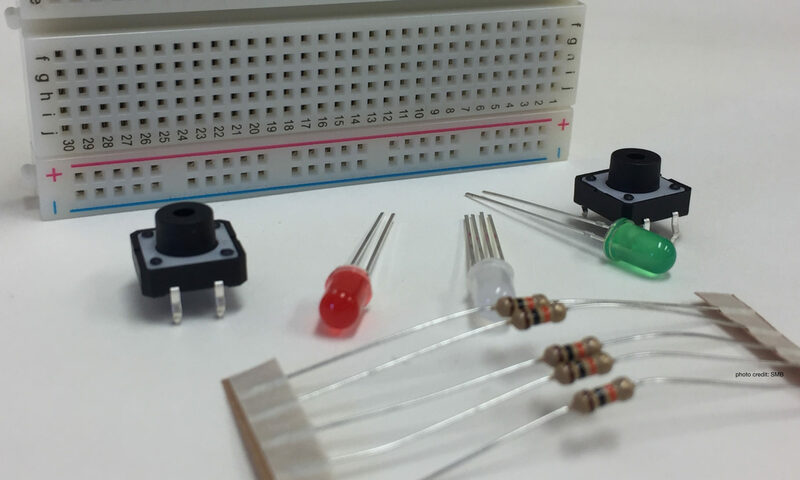 You can easily join the Maker Movement just by making or modifying something, and even better as Mark Hatch would suggest, is to make something and give it to someone. The process of giving a personally crafted artifact to someone is significantly different from purchasing a gift as it’s tied to emotion and personal transformation (Mark Hatch). You might be wondering how you can gain access to and/or join the Maker Movement. This list below gives you some options and resources for getting involved and sustaining the Maker Movement. Be present. Attend a Maker Faire to see the diverse communities, people, and varieties of artifacts from arts, crafts, and fashion, to robots and electronics. Vancouver is having it’s 5th Annual Mini Maker Faire on June 6 & 7. Consider joining a MakerSpace, Hackerspace, or connect with the community through a MeetUp. Remember your roots. Plant and grow something, create a community garden, design an open access biology laboratory. See org, Biology Hacklabs, and the Journal of Peer Production for more resources. Have you thought about how your existing skills, knowledge, and talents can be used to ‘design, adapt, hack, and create’ (Bullock, 2014)’? What do we call the ‘results’ of Making? I’ve come across many way in which the end results of Making is referenced. Different fields have their own terms, for example, educators make reference to learning outcomes, designers use the term portfolios, artists create physical objects, STEM complete projects and in some cases produce products, and so forth the terminology proceeds. Is there a way we can reference the results of Making that embody all these notions of what happens at the end while embracing the process of learning that happen during Making? In recent conversations with the Principal Investigator, Shawn, on this SSRCH project (which is embedded in the context of education), we had such conversations. During some initial discussion, I used the word “product” to describe the outcomes of Making; this caused a strong reaction in Shawn for which I was grateful as it fueled a rich dialogue. In discussing this further, we surmised that “product” as a term to describe the result of Making takes away from the very ethos of the Maker Movement. This description is deficit in the processes that exemplify Making such as sharing, giving, learning about something, variability of perspectives, tinkering, and supporting a community – essentially — everything the Maker mindset encompasses. Now I move to test the term “artifact” in education. The artifact symbolizes the (collaborative) learning process including the design, creation, tinkering and hacking [Bullock, 2014] innate in Making for a specific community, which may also extend to the teaching of that process to others in the affinity group. The tacit knowledge and conceptions that result from Making is then sharable with and future artifacts (even learning artifacts) may look very distinct as they are shaped by collective processes of the community of practice. How does the term “artifact” to describe the results of Making in education sit with you? Welcome to makerpedagogy.org, the online presence of the SSHRC-funded project entitled Developing a Maker Pedagogy led by Dr. Shawn Michael Bullock. Our research project seeks to interrupt traditional approaches to science teacher education by foregrounding principles of Maker thinking – hack, adapt, design, create – in a teacher education program and in the early years of a teaching career. makerpedagogy.org by Dr. Shawn M. Bullock is licensed under a Creative Commons Attribution-NonCommercial-ShareAlike 4.0 International License. Exception: Please do not use the makerpedagogy logo without express permission.